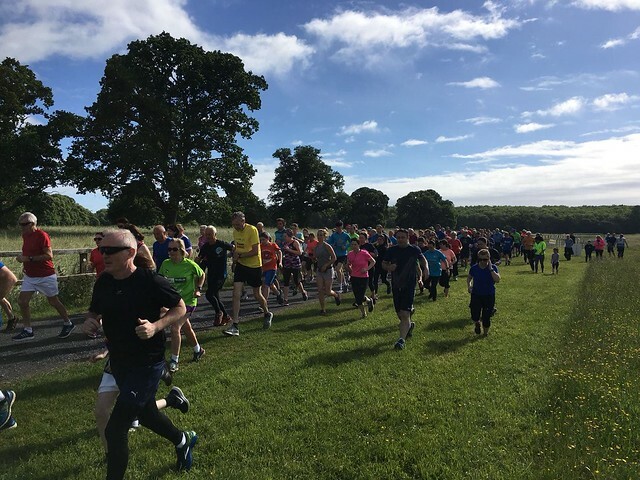 Event 129 – 16th June 2018 Clane AC Takeover! After weeks of amazing hot, sunny weather, we woke up on Saturday 16th June to a duller, cooler day….and the unspeakable happened…it started to rain, and not just a light shower, it was bucketing down. OH NO!!!! 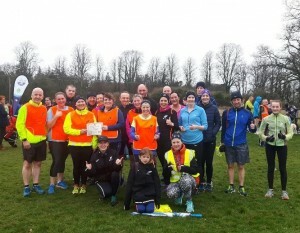 But, today was parkrun day, and a bit of rain was not going to put off any die-hard parkrun regulars! 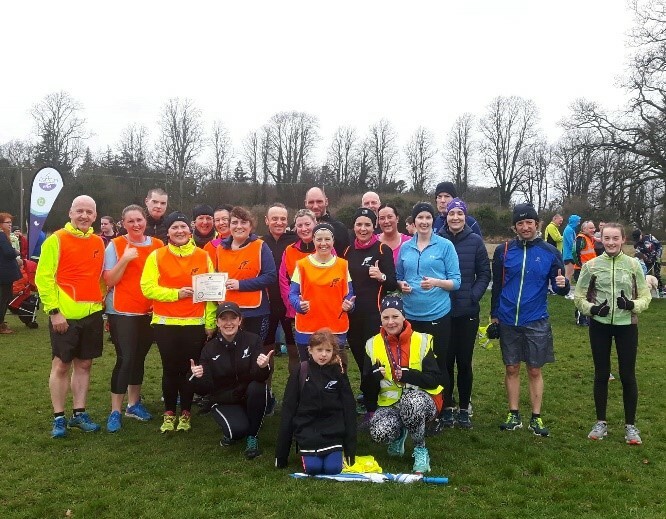 This was also the third Saturday of the month, and at Castletown parkrun Celbridge, that means its pacer day. Thankfully, by 8:30am though, that speck of blue in the sky in the far distance was gradually getting bigger, and by the time the 197 walkers & runners lined up at the start line at 9:30am, the sky was back to its usual dry, hot and sunny demeanour that we had grown used to… All was well again! 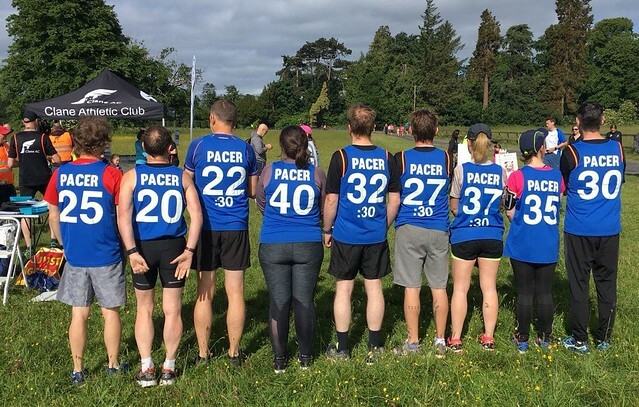 Clane AC had provided pacers from 20 mins all the way through to 40 mins, so there was plenty of choice for all the park runners this week and we are delighted to report that there were 42 new personal bests (PB’s) achieved at this event. 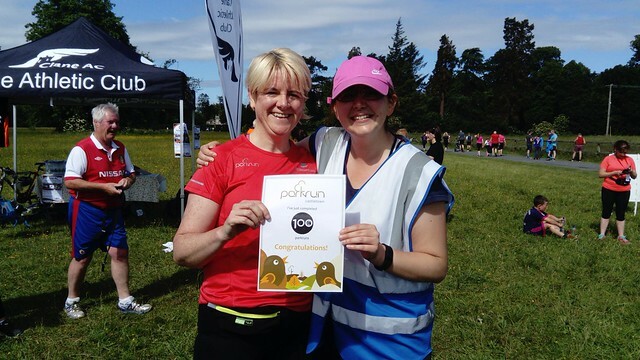 Congratulations to Sheila Hynes who completed her 100th parkrun!!!! Amazing! 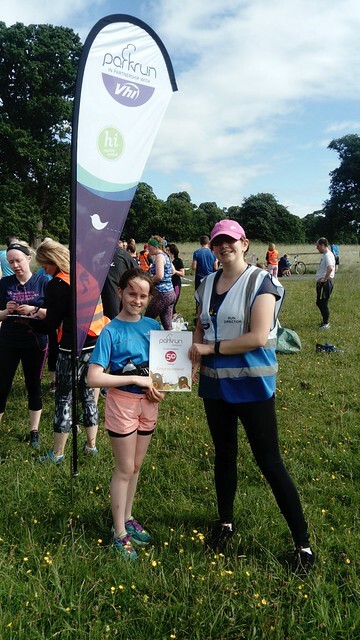 We also had one of our junior runners complete her 50th parkrun also – Wow! 50!!! Congratulations!! We welcomed two parkrun tourists, Fiona & Dermot Symes, all the way from Australia!!! Thanks for coming out to Castletown parkrun Celbridge. It was lovely to chat to you and perhaps we will see you again someday? 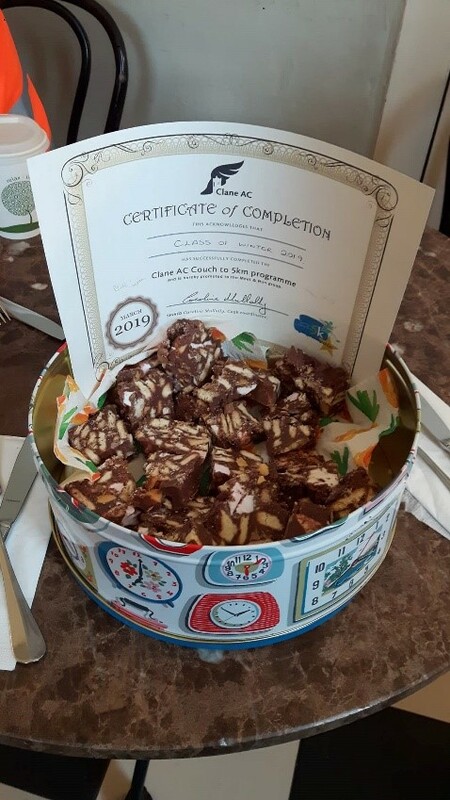 Thanks for buying some of the Clane AC merchandise too…may you wear it well! Perhaps you will pop up some photos of you wearing your Clane AC T-shirts and neck scarfs? There was a sea of Clane AC Orange & Black this week at parkrun as an astonishing 37 volunteers turned up to make the event happen. Thank you so much to each and every one of you. 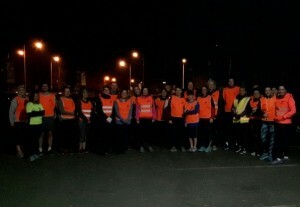 Although, on this occasion, the volunteers mostly comprised of members from Clane AC adult running club and Clane AC juvenile club, we must give a special thanks to Sheila Hynes, John O’Lone, Philp Slattery and Melanie Tuffen from the Castletown core team, who were also there as usual,working like beavers in the background, making sure the Clane AC volunteers knew exactly what they should be doing and where! Thank you so much for your unwavering patience and guidance! 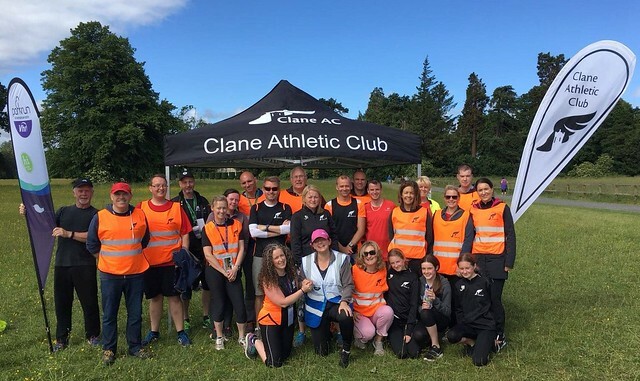 Some extra special thanks must go to Michael Kilbride from Clane AC, who supplied the event with 250 bottles of water which was welcomed by all our runners and walkers at the finish line, as it turned out to be quite a sunny, hot & humid morning in the end. 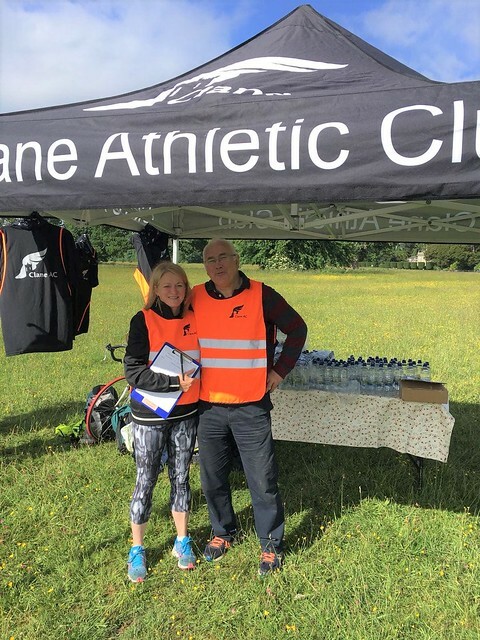 Thank you, Michael, who is pictured below with Claire Twohig from Clane AC. All the best, until next time!